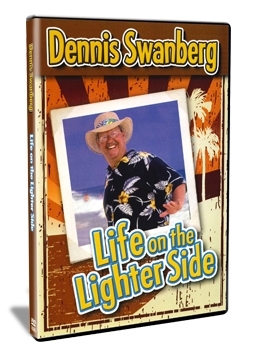 If laughter is truly the best medicine, then Dennis Swanberg, America's "Minister of Encouragement," is just what the doctor ordered. With his own down-home charm and heaping helping of hospitality, this pastor-turned-comedian has won the hearts of audiences across the country. The Swan doesn't care who he's talking to, as long as he can leave knowing he made someone's day a little brighter. The Swan has appeared onstage at the Grand Ole Opry, Focus on the Family, and regularly shares his faith and humor with audiences around the country at Christian conferences and corporate gatherings. "Life on the Lighter Side" includes these great tracks!